Any band can put an app together these days, but the best ones truly resonate with what a band is all about. We already wrote about one such example today — the excellent Korg iElectribe Gorillaz Edition. That app works perfectly for the Gorillaz, because they made their last album largely on the iPad and used the vanilla version of iElectribe to do it. The Ferocious Few, on the other hand, are known for staging impromptu shows all over the place. Fittingly, that’s what their app does, too. 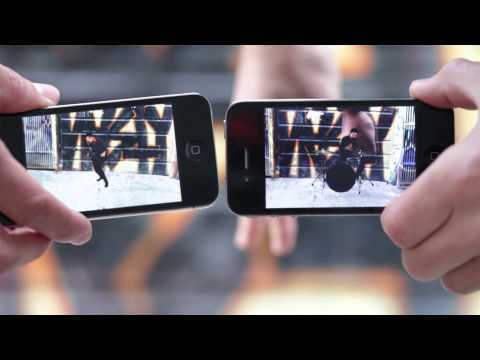 The Ferocious Few: Pocket Rock-It (demonstrated in the video above), which was released this week in the iTunes app store, brings the band to your surroundings through the magic of augmented reality, for free. For a duo noted for playing “unexpected locations,” it’s the perfect app concept. And it comes with a nice surprise feature: You can sync two iOS devices within the app in order to put one member of the band on each screen as they play their part of the song.